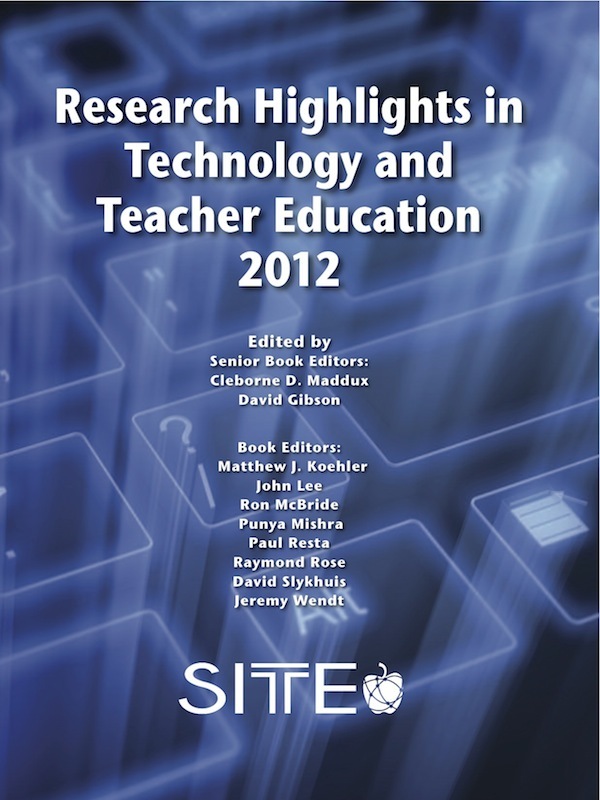 Research Highlights in Technology and Teacher Education 2012 . Published 2012 . ISBN 978-1-8800-9496-9 Publisher: Society for Information Technology & Teacher Education. Maddux, C.D. & Gibson, D. (2012). Research Highlights in Technology and Teacher Education 2012 . Society for Information Technology & Teacher Education. Retrieved April 22, 2019 from https://www.learntechlib.org/primary/p/41222/.